It is a perverse but almost inescapable phenomenon in the history of violent revolutions that after the first heroic days a colorless bureaucrat will inherit the mantle of leadership. In the Russian Revolution, Lenin was followed by a plodding Stalin rather than a dazzling Trotsky. Even after the American Revolution the celebrated Jefferson barely made it into office as president between two party regulars.The French Revolution was no exception. After the genius and idealism of Mirabeau, Danton, and others who had created the Revolution, it fell into the hands of an unscrupulous and sententious bourgeois lawyer who had been lost among the back benches of the first Estates-General. Like Stalin, Robespierre rose through tireless party service and meticulous attention to detail and finally through the execution of men who had been the real heroes of the Revolution. 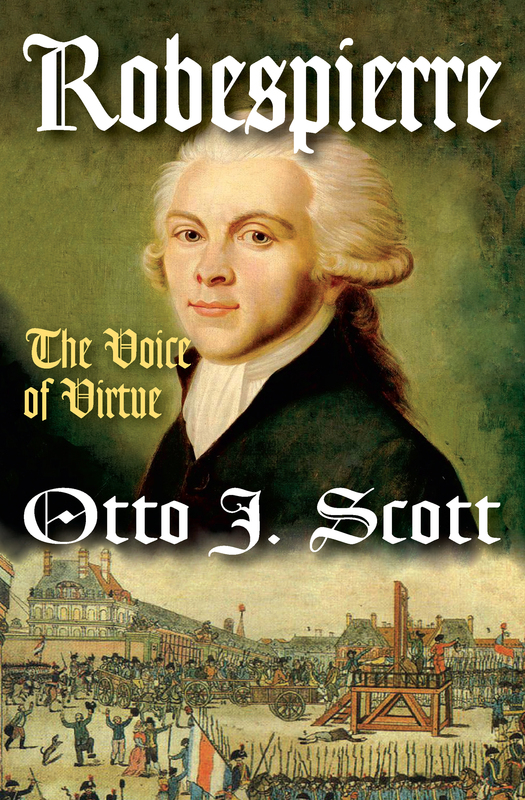 Unlike Stalin, however, Robespierre was a brilliant orator who ultimately was destroyed on the guillotine by the very terror he had created to eliminate his rivals.In Robespierre: The Voice of Virtue, Otto J. Scott has created an ironic portrait of hypocrisy in power. This biography is a study in moral arrogance, self-proclaimed virtue, and the effectiveness of brutality in the position of political leadership; it is a reenactment of the events that Robespierre came to personify—the Reign of Terror. This political condition has since been re-enacted all too often.